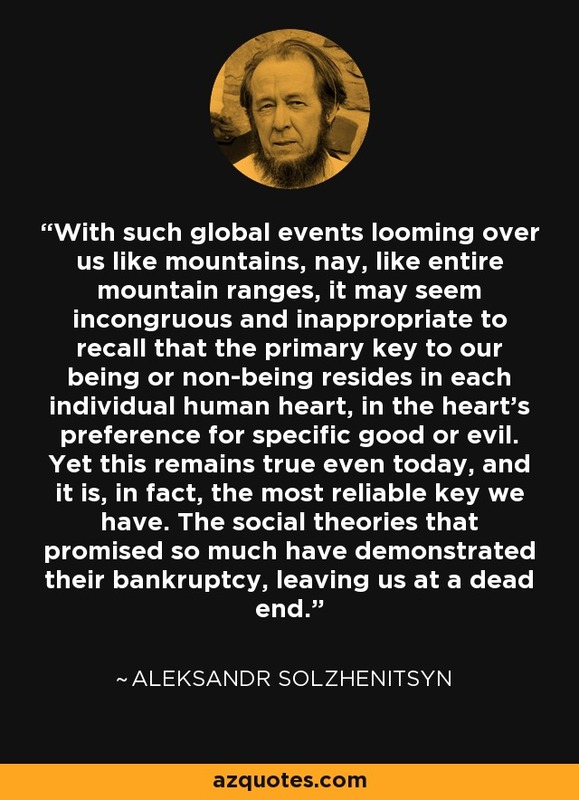 With such global events looming over us like mountains, nay, like entire mountain ranges, it may seem incongruous and inappropriate to recall that the primary key to our being or non-being resides in each individual human heart, in the heart’s preference for specific good or evil. Yet this remains true even today, and it is, in fact, the most reliable key we have. The social theories that promised so much have demonstrated their bankruptcy, leaving us at a dead end. "Have We Forgotten God?" by John W. Whitehead, www.huffingtonpost.com. March 18, 2010.